Should You Use High Protein Snacks For Weight Loss? You are here: Home / Blog / Should You Use High Protein Snacks For Weight Loss? The connection between snacking and weight loss is a bit of a strange one. Some advice suggests that people should avoid all snacks, while others suggest that there may be benefits to snacking. In particular, the idea of having high protein snacks for weight loss has significant support, especially by those who advocate high protein diets. After all, we do know that protein important for health, even though many of us may not get enough protein in our diet. Besides that, in some ways, using high protein snacks for weight loss does make sense. Protein tends to make people feel full or satisfied. This type of snack could help people fight hunger and reduce the amount they eat. One study took a look at this in relation to afternoon snacks (Douglass et al., 2013). Specifically, the authors were interested in low-, moderate- and high-protein snacks and those snacks were yogurt. This study made use of 15 healthy women in their mid-20s. For the purposes of the study, the participants were broken into four groups, where each group had a different snack pattern. Regardless of the protein level, all of the yogurt snacks contained 160 kcals. Participants were asked to have the snack in the afternoon for 3 days. Then, on the 4th day, participants came to the research facility, where they were given a standardized lunch and then the snack (or lack thereof) 3 hours later. Following this, sensations of hunger and fullness were measured every half an hour. Participants received dinner when they requested it and had the ability to eat as much or as little as they chose. As a result of the study, the authors found that dinner was requested later for the participants who had a high protein snack. In particular, the group with high protein snacks requested dinner significantly later than those who had a low protein (p=<0.001) and moderate protein (p=<0.05) snacks. Additionally, the authors found that fullness was higher and hunger lower for the high protein snack compared to the low protein one. The authors did also note that the energy content of the meal was lower after the high protein snack. However, the difference in energy from the meal did not fully account for the energy of the snack. As such, participants did still take in more calories from having the snack and a meal (regardless of which snack), than if they had consumed no snack. The biggest strength of this study was the experimental nature. This gave the authors the ability to directly test the impacts of the three different types of snacks, along with the impacts of eating no snacks. The results were also fascinating, showing clear impacts of snacking on when people ate and, to a lesser degree, on how much they ate in the subsequent meal. Nevertheless, there were some limitations. One of these was the fact that participants only started the pattern of snacks a few days before the experimental portion of the study. That practice would not give participants enough time to get used to the patterns. Additionally, it is likely that the impacts of a snack would vary depending on how accustomed the person was to snacking in that way. As such, the results of the study do not offer much insight into situations where people consistently follow a single snack pattern. But, by far the biggest weakness was in the sample. This study had a very small sample, consisting of just 15 participants. That’s a low number for any study and it’s particularly relevant for a study that had 3 different treatment groups and a control. The number of participants meant that groups tended to have 4 or fewer participants. That is not nearly enough to see patterns and calls any observed outcomes into question. So, while the study may have had some significant conclusions, these have to be considered carefully. Additionally, all of the participants in the study were young, healthy and female. That decision does help to minimize variation and reduces the chance of any errors in the results. But, at the same time, the choice means that the observed results do not necessarily apply to the population as a whole. Even with the limitations in the study, the authors in this study did find that a high protein snack (specifically, Greek yogurt) contributed to less hunger overall, along with a delay in subsequent eating. It’s easy to see how that pattern could lead to weight loss. However, the impact is likely to be fairly person-specific. For one thing, the key outcome of the study was that the snack delayed subsequent eating. Depending on your diet and lifestyle, that may or may not be a good thing. For example, pushing dinner back a few hours because of a high protein snack may not necessarily have any impact on weight loss. In fact, doing so could even be detrimental, as it could mean that you were eating late at night and possibly going to bed on a full stomach. In the study, eating the high protein yogurt did contribute to fewer calories during dinner. But, the difference didn't completely cancel out the yogurt. So, in essence, those eating yogurt as a snack were still having more calories, regardless of the impact it had on dinner. That begs the question, is the snack worth it? Well, I imagine it would depend on the person and their goals. After all, the study wasn't focusing on people who were intentionally losing weight . So, the impact that a high protein snack has on your dinner could be different than it was for the people in the study. Additionally, there is considerable debate about whether being hungry is even a bad thing. For example, autophagy and intermittent fasting diets tend to be good for weight loss. Yet, both of these diet types involve going periods without eating. Such a practice is thought to offer some metabolic benefits and even be good for health overall (1). 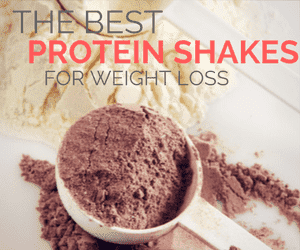 But, that doesn’t mean that you have to avoid high protein snacks for weight loss. Instead, the answer is to figure out what works best for you. The reason for this is that, at the end of the day, weight loss is an incredibly personal experience. There are lots of fad diets out there but when it comes down to it, what works for some people won’t work for others. I mean, yes, the basic principle remains the same. Eat good food and burn more calories than you take in. But, as Precision Nutrition explains, the energy balance concept isn't as simple as we like to think. Likewise, people vary in the processes that work best for them. In many cases, people find that they simply cannot lose weight, partly because they are relying on diets or advice that may not be a good fit for them. The whole idea of snacking is one example of this. Some people really do fare incredibly well on intermittent fasting diets or lifestyles where they simply don’t snack. I even know a person who has successfully lost a significant amount of weight doing that alone. But, other people struggle with this type of diet. For them, avoiding snacks tends to be counterproductive, as it means that they get too hungry and end up overeating in subsequent meals. For people in that position, having good snacks makes sense. And, choosing high protein snacks for weight loss may be a natural fit. Thankfully, there are many good snacks to choose from, such as this list from Meraki Lane. You can also make homemade protein bars, rely on nuts as snacks or your own snacks using eggs as an ingredient. On a final note, the study did use yogurt but the positive outcomes are also likely to apply to other high protein snacks. But, that being said, research does suggest that protein source is relevant for health, so not all protein is the same. Additionally, the health benefits of yogurt are significant. This may make yogurt a particularly good choice for a snack, especially in the case of Greek yogurt, which tends to be especially relevant for weight loss. If you are finding it hard to lose weight, check out my list of 60 Weight Loss Tips Backed by Science or take a look at my discussion on why some people struggle to lose weight. What do you think when it comes to snacking? Do you find that you need to snack between meals or do you avoid snacks entirely?